Greetings everyone, I hope you all had a wonderful Christmas season and a great start to the new year. For the last three months I’ve been in constant travel, with three trips to Guatemala, one to both coasts of the United States and back to Lima Peru. I asked Manuel, the executive director, for the address and wrote down “Zona 13, Aurora II” to research in the afternoon. For some reason, I thought maybe I’d stayed near this place when I first came t o Guatemala almost five years ago. When I got back to my computer I went through my old emails to track down some of the places I’d stayed. Sure enough, deep into the archives I came across the very first place I stayed in Guatemala: a bed and breakfast (really a hostel) that had the address Zona 13, Aurora II. “But these areas are pretty massive anyway, it’s not like it’s that close to his house.” I thought. So the next day, I asked Manuel, “Have you heard of this bed & breakfast?” and gave him the address. “Well yeah, that’s just two blocks from my house,” he answered. It was then that it dawned on me. In almost five years in my journey in Latin America I had progressed just two blocks! It felt odd knowing that I’ve gone thousands of miles just to arrive a stone’s throw from where I first began. It feels like I haven’t gone very far, like all the 3am-4am wake up calls for two and three connection flights, logging six to eight, even 10 hours on bus rides into distant communities didn’t add up to a grand total of anything. Maybe I felt a bit disappointed, like a hiker who prepares half a year for the difficult ascent, and arrives to find that they closed the trail and now the summit is accessible by a 30 minute gondola lift. But that’s not how it is right? There is an enormous difference between the 30 feet that separates the entry-level employee and the CEO. It’s not the measurement of the physical distance at all. If we were to extend out the years and the experience that separate those two positions the distance would be unfathomable. Five years ago that first night in Guatemala, I was an anxious young man, fresh out of my corporate job, with feelings of excitement and uncertainty after realizing that the decision to go to Latin America could potentially shipwreck my career or carry me to a new, never before imagined destination. I couldn’t envision what the future would look like, it just looked like a never ending winding road clouded by fog and rain. My only real resolution was to just stay on the path, and try to maintain my momentum and excitement. So then, five years later from that first night filled with uncertainty for the path laid before me, I was sitting a few hundred yards away, right next to the Vice President of Latin America for Edify, Luis Sena (appears above in the second picture) in the home of the executive director of the Guatemalan MFI discussing the details about opening up the Edify program in Guatemala. In that meeting, I didn’t speak of conjecture, but rather from experience. Guatemala is the third country I have worked in, and my responses were from the decisions I have been a part of with my team based on experiences with schools with directors that I knew personally. I’ve visited hundreds of schools over the past few years, spoken with 12 microfinance institutions and even more training and para-church organizations. 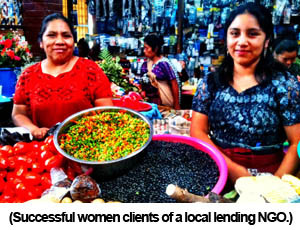 I’ve helped write operating manuals for several microfinance projects, written dozens of reports, logged endless hours in meetings, and presented to leadership teams in English and Spanish. If only I had known that five years later I’d be a more confident professional sitting with colleagues in a comfortable environment, I would have been relieved of my doubts and fears. But I know now that in life there are many things that we don’t know at the time, and they aren’t for us to know in that specific time and place where we currently reside. And that’s ok, the only requirement is that we have faith in the Maker of the paths. The paths of the past, and the paths of the future. 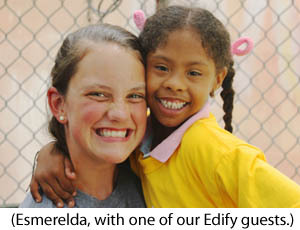 In Edify, we are incredibly excited about the future in Guatemala. We’ve met with two microfinance organizations and visited almost 30 schools around the capital and in three different regions to explore the potential for our microlending program to low-fee independent Christian schools. It’s been such a blessing to work with our Guatemalan friends, Manuel Garcia and his team, from our first microlending partner in Guatemala. 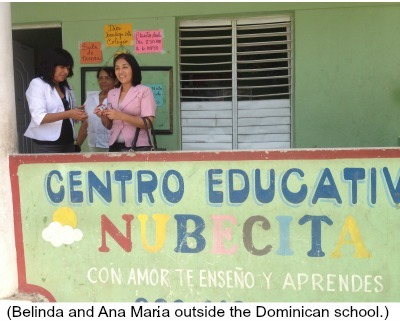 They truly share our mission to work in the economically poor communities to improve and expand these schools that want to serve the families in their communities. So I realize then, that instead of being disappointed in only traveling two blocks, I’m incredibly grateful to realize that the greatest distance the Lord ever required me to go was just two blocks. If I had really known that and believed in His plan, I wouldn’t have been so worried about the great uncertainty that lay before me. Had I known it would have been just two blocks, I would have jumped out of my seat and started walking, relieved of any great doubts about the plan ahead. From where I am today, I can rejoice in the great distance between two blocks: for this great adventure with the Lord and his people in Latin America. For all I’ve gotten to experience personally, walking with these school leaders, with men and women so passionate about impacting their communities because that’s what Christ called them to do. He knew that was what was up ahead, and I’m glad they trusted Him and I did too, with only small glimpses of the future he’s preparing. He was, and is, and will be, the Maker of good paths. I pray that even in moments of uncertainty you have reassurance to know that the Lord has planned out the path you’ll take — even if it is only just two blocks. 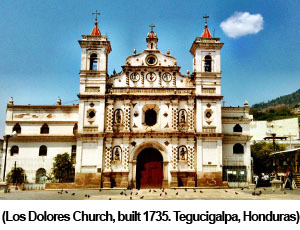 This entry was posted in Guatemala, Monthly Newsletter on January 28, 2015 by Aaron. I’m back in Lima, Peru after almost five weeks in the Dominican Republic (DR). The weeks in the DR seemed to fly by very quickly because after the first week with two colleagues from ADRA Peru (our Peruvian partner), I headed to the eastern part of the island to work with the Edify Family Experience Camp for the following three weeks. It’s a really quick turnaround from week to week because we drop off families and pick others up at the airport in addition to working in three different schools in La Romana, DR.
Our purpose for having these family experience camps is to bring families from the US closer to the realities of the areas of economic poverty where we work and to celebrate with a few schools in our loan and training program in the Dominican Republic. 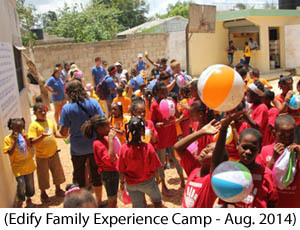 We call our trip more of a “Vacation with a Purpose” instead of a “Mission Trip” because the week is geared toward a relaxed family environment where we spend part of the day in the school with children and part of the vacation time doing a book study using “When Helping Hurts” by Steve Corbett and Brian Fikkert. By having the ability to experience different economic realities during the day and discussing these differences using a technical guide, we allow guests to learn the theory at night and see it in practice during the day. I believe this is very important for our guests – including our staff – because when you have an open discussion on what works vs. what doesn’t, and what helps vs. what hurts, everyone benefits and we reduce the tendency to think of ourselves as superior, wealthier Americans with a lot to give and foreigners who are just waiting to receive. Instead, we’re able to sit at a common table where all of us see our areas of poverty: relationships, time, value, unhappiness and distance from God, and we seek solutions to alleviate these areas of poverty. We are very well aware that any form of development takes much longer than a week, including the development of a new perspective, so we really try to encourage guests to come with an open mind and plenty of flexibility, so that the Lord will show us what He desires we see. I like this laid-back approach much better than trying to mandate the feelings or conclusions people come away with. When you push and you pressure, it’s less fun and less effective, so really what it comes down to is being open to see what God has for the week, and naturally relationships will form and flourish in that environment. In a way, we can learn how we can better treat the people we work and live at home by experiencing another culture. 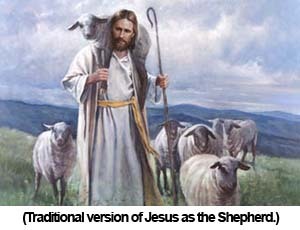 Each day we try to instill more applications of the principles in the verse to the students in the family camp. After each week, each participant collects their own stories from the previous week. Here are a few stories that I took away from family camp this past summer that demonstrated what it means to love your neighbor as yourself. In the first week of family camp, we worked inside a school called, “Paso a Paso” or “Step by Step.” I remember meeting Haidy, the director, over two years ago when we promoted business training for schools in La Romana, Domincan Republic. She is a mother of a special needs child and when she saw that no public school was giving him the attention he needed to develop, she created her own school to attend to students with certain development needs. Now, more than 10 years later she has a school with over 100 children that come to receive a great Christian education, and not all the students are special needs, but it is quite amazing to witness how the other classmates treat the students with special needs. 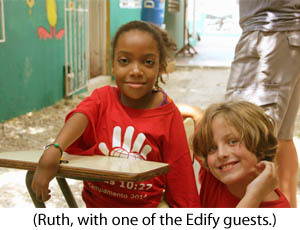 Ruth, who has limited functioning in her hands and arms, and very limited ability in her legs, sits and draws with the other students in her class. When she needs to move to a new classroom, a student will pick her up, and when she needs to go to the bathroom a teacher or the director will help her. She’s quite intelligent and social, and is probably a little timid given her inability to run around with the other kids, but regarding timidity we could of course chalk that up to the fact she’s a 4th grader. 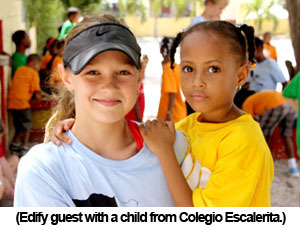 Meet Esmerelda, she’s just as sassy as any other six year-old Dominican girl. She wants to be a part of everything. Every game, every activity and every photo. You’ll take a photo, show it to her, she’ll shriek that it’s not her best, so you’ll have to take another one. At times, you can say she needs a bit more management because she has Down’s syndrome, but you could also say she’s tuckered out from being around so many people she wants to meet. Ruth and Esmerelda are treated like their other classmates. Do you know how profound that is for a country that is still in its “developing” status? They are accepted and loved like they weren’t any different from the others – and hey, aren’t we all a little different anyway? One day, after a few school visits, one of our transport vans didn’t start up. 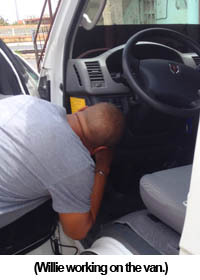 We loaded the rest of the guests into the other vehicles and they headed back home while I met up with a local mechanic to go see what we could do about the problematic van. I was dropped off at his workshop which was mostly a small parking lot with some temporary canvas awnings blocking the heavy sun off the workers. I counted about five mechanics ranging in age from 18 to 50 and two more young teenagers. 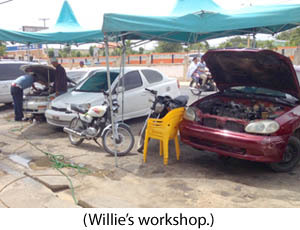 As I stood there for about half an hour waiting for Willie to clear some time in his schedule to go visit the distressed van, I got to see the local operation of his car repair business. I must have seen seven or eight different conversations or transactions between the mechanics, delivery men and other visitors. I felt like I was in the middle of some shipping docks with a few ships of different shapes and sizes arriving and leaving at the same time, offloading goods, boarding passengers, repairing components and asking technical questions. I was amazed that no person nor transport collided; Willie had it all under control. Finally we set sail for the van, and I got the chance to ask Willie about his fleet of workers. “ . . . and what about the two young men, do they work for you permanently? I saw not only why Willie was a great manager, but also why he was a great man. Someone treated him just like he’s treating these young men: with guidelines and a gentle strictness to a good principle. Someday they’ll thank him when they are managers of their own repair shop yelling at young workers to stay on schedule or grab some parts from a supplier. They’ll see that he had their destiny in mind the whole time. 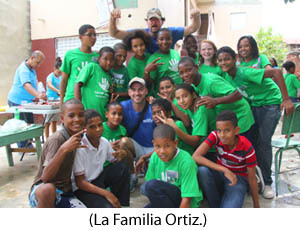 One of my common topics in newsletters come from the “things I don’t get used to” and how the green group chose “La Familia Ortiz” has its roots in that. I find that the young guys are really keen on knowing who I am and what I think about a variety of topics. It’s like they are looking not just for an older brother, but a positive male leader. I don’t think I’ll get used to hearing the young men tell me that their father left at such a young age, or they’ve never met him, or they only know him when he flies in by night usually with alcohol on his breath. I definitely am not used to that. I try to be different; I try to be a better man than they’ve known, even if it’s for a week. The school we worked with told all the students that we were friends of the school, and these Americans were really more like uncles and aunts than guests. So with that warm introduction, they wanted to know who I am what I think about their community and if I’ve thought I could ever live in the Dominican Republic for a long time. 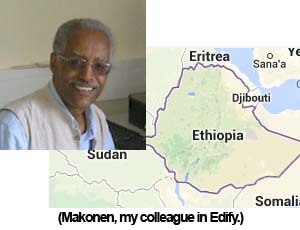 They want to connect, so they asked me what my last name is to find their uncle, me, on Facebook. I joke with them that I don’t know it, and when I ask for suggestions for last names I ask them who some famous Dominican baseball players are. It crushes me each time when I think about how “coming back” is a promise that will be very difficult to fulfill, so I tell them that our organization works with the schools directly, and we have a lot of schools in the program in the DR, so really we are all family. So when we get together as believers in one faith, we get to celebrate with family. It doesn’t matter the country, the community, the language or the skin color. We’re all family. One of our guests at Family Camp, a long-time Texas Rangers fan, and current little league coach, suggested to me that we should try to play a pick-up game with Bernie, a student from the school, and his friends. He had an eagerness in his request not just that he was interested in seeing the talent of Bernie, but that he and his son would enjoy a more personal connection with local students in a common passion for baseball. We made the arrangements during the breaks of family camp with Bernie and assured him that we’d come ready to play, and yes, of course his older brother could come to. But why was Bernie so insistent on his older brother participating? 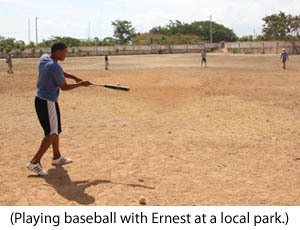 As it turns out, Ernest, now 20 years old, just three years ago was selected into the development academy for the Baltimore Orioles, but unfortunately, on the day he was to sign his contract for a triple A team in the U.S., an all too common story occurred – they simply didn’t have room and he was dropped from the roster. 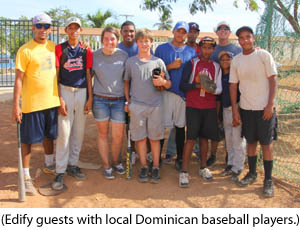 So on Thursday afternoon there we were, four Americans, with Bernie and friends catching fly balls and turning double plays in the scorching Dominican heat on a rocky and grass-barren field just outside the local stadium. What was amazing to note was that his older brother, Ernest was indeed talented, a true natural, but what impressed us most was his father-like care for his younger brother. I spent some time talking with Ernest asking him about his plans. He told me that he’s still playing baseball, and is hopeful to get picked up again by some scouts, yeah, he’s working a little bit, and really he should finish his degree soon. I played that conversation over in my mind, and a question stood out to me: “What do we leave, when we leave the island?” Do we come to see the sights and sounds and taste the local flair, and applaud the talented youth? Because we will come, and we will go, that much is true. But what impact will we make with our time, with our resources, with our energy? To a young man, who had seen the real promise of a dream on ink and paper, and in one day seen it taken all away, I see that he desires the surest route for a better future for his younger brother. That I believe is what he wants us to cheer for, that is what he hopes we will bring to the island and how we will treat our Dominican neighbors. I pray that you’ve been having an enjoyable summer and have had the opportunities to be involved in your community. 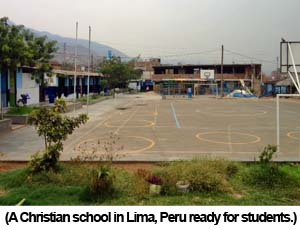 Please pray for us here in Lima, Peru as we continue to implement the Edify school loan and training program. 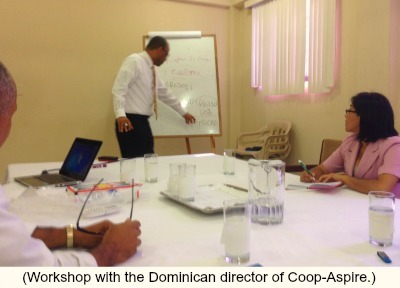 This entry was posted in Dominican Republic, Monthly Newsletter on August 26, 2014 by Aaron. When you sign onto a new project or initiative you usually have some idea of what you’re getting into. It is pretty tough when a new, demanding responsibility takes you by surprise and you find yourself saying, “I had no idea it would be like this.” Well, for me, I suppose I had some idea that the process of starting something new would take some time, and bringing a new program that has worked in other countries would certainly not be a cookie-cutter implementation in a new country. That’s all true, I knew that. But it’s been really difficult to be so patient, and I was not expecting it to be so difficult for me. Every time I have the chance to talk to someone back home, it’s always encouraging and reassuring to me. My friends, mentors, and family all remind me why I made the decision to work abroad and what it means for the local community here, and why I do what I do. I believe that God has a plan for redemption for these economically poor communities and a way to restore what was broken. I know that this is a cohesive story that begins with love and ends in redemption. It’s a true story that we are all familiar with, and yet it is new every time we come back to it. This story is good and beautiful, and we love telling it. Hmmm, well, we love the beginning, and certainly the ending, and when we compare the before and after it makes the everything clearer and more meaningful, and brings a well defined conclusion to beginning. But I think there’s a part that doesn’t get much airtime, certainly it’s a part I had forgotten. I’d been in the middle for about a year in Peru. I’ve had the great blessing to be able to work in Latin America with various Christian organizations that are committed to doing good work in the name of Christ. I have seen so much of the “before” – the brokenness of a community, all the pain and the suffering, and I have seen the beautiful “after.” Lives have been changed, students graduate, adults learn to read, communities become safer, families can afford to live better and healthier, and individuals learn that God has not forgotten them, and that life is much better trusting Him and knowing and living like Jesus. I’ve been a part of that story many times. But the middle? I kind of wanted to skip over that. Go around it, jump over it, race through it, but I’ve realized that sometimes you just can’t. You can’t really be past something unless you pass through it first. Throughout all the months, the visits, the calls, the emails, the meetings, what has continually motivated me is that I have seen the program work. 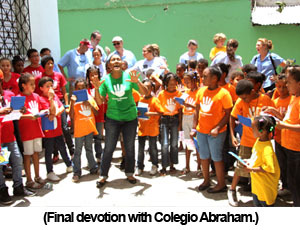 Knowing that our program for low-cost Christian schools has impacted more than a quarter of a million students in Africa and the Caribbean inspires me to take this program into the communities I’ve visited in Lima, Peru. As I’ve seen now, sometimes to really have a breakthrough you’ve got to try to step back, analyze the situation, pray about it, and make a new plan. That’s just what we did. 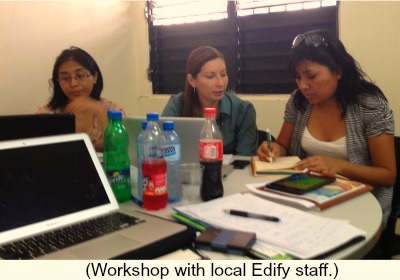 Together with the Edify team we put forth a grand effort the past two months to make this work in Peru. I’m glad to tell you today, that we are finally on our way here in Peru. The past two months have been a tremendous amount of work. With a signed contract, transferred funds, and a pool of schools that have loan applications in progress, I feel like we’ve crossed through the valley, and I am more excited than ever to see this program work in Lima. You know what I think helped us get to where we are? I believe it was our commitment to walk through the middle with our partner. The past few months we’ve worked so hard to build up the technical aspects of the program, with a future goal of a week-long internship in the Dominican Republic with our Peruvian colleagues. What I understand from last week is that there is nothing like seeing something with your own eyes, walking in the same communities, talking with the local staff and being inspired by the men and women of the Edify-supported schools in the Dominican Republic. Our local Dominican staff have been amazing. They have been so hospitable and welcoming to our Pe ruvian colleagues. What I’ve seen in the past week has been a visible ascent of coming out of the valley. From a wider perspective, when you look at both sides of a new partnership, both parties have their own questions, doubts, and processes for which they need time to understand. I think I was ready to push this program through all the way to the communities in Lima that I had visited because I was confident, I had seen it, and touched it. But in order for others to be in this same place, you’ve got to take them on the journey as well. The feedback from our Peruvian colleagues has been incredibly positive. I really feel like they’ve caught the vision, and are more equipped than ever to bring this program to Peru. There have been so many people who have walked through the middle with me this past year. My colleagues at Edify, my friends, my family, and of course I’ve felt the presence of the Lord more than ever. Thank you to all of you who have supported me over the past year, and get ready to celebrate with me when we get our first few schools in the program in Lima in the next few weeks! For now, I’ll be in the Dominican Republic, celebrating with my Dominican colleagues for what the Lord has already done here with our family experience camps. That’s what I’ll write about in the next newsletter. I pray that you maintain the vision you have, and that you don’t let go of what you know to be true. 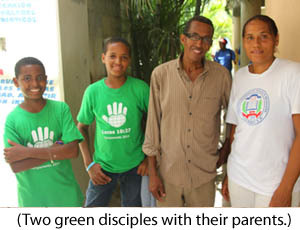 This entry was posted in Dominican Republic, Monthly Newsletter on July 28, 2014 by Aaron. 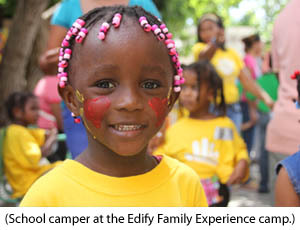 The Edify Family Experience is a way for families from North America to experience the work that we do in Edify in a school that we support with micro loans and training. We bring families with children that are interested in learning how the model takes shape on the ground and want to participate in a camp that involves the whole family. 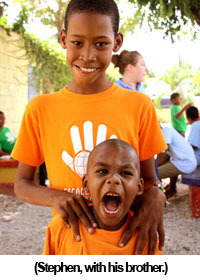 For us, family camps are a unique experience because normally our operations involve making small loans and doing business training for these schools. Fortunately, the camps of years past have been a huge success with everyone involved, from the North American families to the local staff and the children in the schools. So this past July we spent two weeks in a city in the East of the Dominican Republic called La Romana. Each week we had five different families participate in a four-day camp that involved a work project, English classes, crafts, recreation and a devotional. The final day we had a celebration, like a carnival, where we invited the parents and the siblings of the students. You’re probably very familiar with this description of this kind of camp as it sounds like many short-term mission trips that churches typically do. At the outset, we explain to our guests that Edify normally doesn’t do trips like this and we’re very clear that the week is about partnership and celebration. We want to build onto what we’ve started with the school. Usually this means that schools come to know us through a small loan for building new classrooms or computer labs, or through business training where they learn to manage their finances. Most often, the relationships we have with the schools are kind of like a business/client relationship, and much like in American business, you don’t always take your friends to see your clients, unless there’s a really good reason. 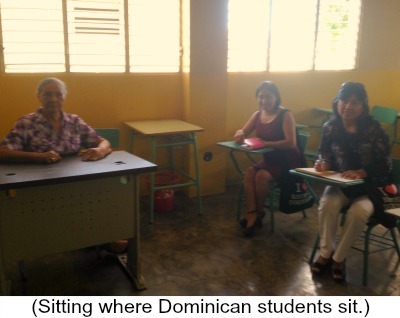 Over the years we’ve developed great relationships with our schools; many really feel like our brothers and sisters, and we want to be intentional about who we introduce to our Dominican family just as they would be intentional about who they introduce to us. 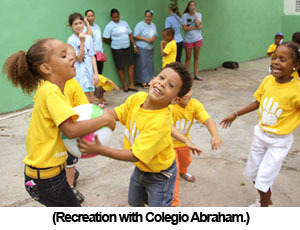 As you know, the normal mission trip from the North American church usually means a large amount of money spent on short-term mission trips where large groups descend on a local community, bring truck-loads of donations, do a bunch of fun activities, and leave the week after. We’re trying to build a program with these schools that doesn’t fade away after the week that the teams leave or the funds dry up. Now, we’re not perfect by any means, but we are trying to do things differently, and we consistently ask our partners and people we serve how we can improve what we do in the communities where we work. Before any of the families come down to the DR, we ask them to read the book, “When Helping Hurts” by Steve Corbett and Brian Fikkert. 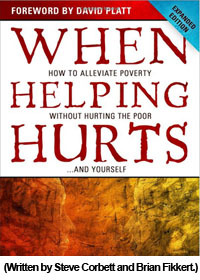 It details how poverty is much more than the lack of economic resources, that we can, and many times are, all “poor” (disconnected, hurt, broken and sometimes powerless) when it comes to these core relationships: with God, with our community, with our family and with own selves. We all emerge out of poverty when we start trusting Christ and begin the process of restoration beginning first with our Heavenly Father. Before the family camp begins, we discuss the first few chapters to lay the groundwork for the week ahead. We talk about how we are so similar to our Dominican brothers and sisters, even though we’re materially rich, we have all been damaged by the consequences of sin in our nation and in our relationships. We can start restoring this brokenness by restoring our relationships – first with our Creato r and then onto each sphere of relationships. So when we go into these schools we must treat each other similarly: as broken as we may be, we know that the path out of it is led by our redeemer, Jesus. It really changes our perspective when we enter a school as equals. We see smiling children laughing and playing with their friends, hugging their parents goodbye, some are looking shy and apprehensive, and even little ones start crying because they’ll be away from their parents for a few hours. Those are just like children from the United States, and even though these local ones attend schools with uncompleted walls, broken fans, and unpaved roads, they are all here because they believe that Christ has prepared for them a brilliant future through good education. That’s what we believe too as North Americans right? We all want our children to have the best opportunities available and we try to make that a reality in our communities. One of our guests had decided to join the work project during the first week. He and his family have done a lot of work with a missions organization that builds houses for economically poor families in Mexico. 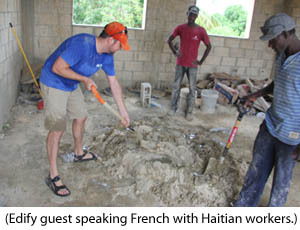 He’s pretty good with tools, and has a lot of experience in construction, so it seemed like a natural fit for him to join the Haitian and Dominican workers in building onto the school’s wall during the first week. 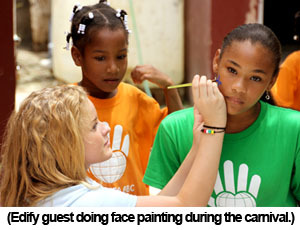 It was fun to see the North Americans interact with the Haitians and the Dominicans. They all had a similar purpose in constructing the wall and got along really well. 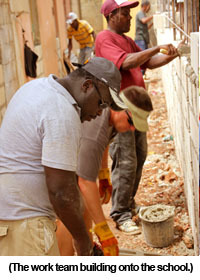 During one of the mornings, a Haitian worker was shoveling concrete when he immediately yelled out and grabbed his back. Our North American guest quickly went to his aid and helped him lie down in a classroom. 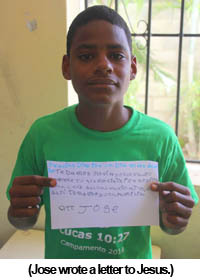 As the Haitian man lay there wincing in pain, our guest came to ask me to help him translate. We walked into the classroom together and he wanted me to help assist the Haitian man. Now, I don’t know if the Haitian man was moaning from pain, or from the fact that he would probably be unable to work for a few days. Our guest wanted me to speak to the Haitian man (in Spanish) and tell him that he had the same injury from shoveling concrete and a doctor showed him some exercises to relieve the pain. Almost immediately, the composure of the Haitian man changed as he saw someone not only willing to help him, but relaying to him that he had gone through this pain, and had found relief. We all crouched there for a few minutes as our guest helped this man breathe through his pain, and gradually the wincing and the moaning stopped. There wasn’t any language spoken in these minutes; it was as if we were all just teammates trying to help our buddy out. For our final day celebration, we had a carnival where schoolchildren could win tickets from various games. We rented a bouncy castle for the children to play in. Knowing that these children hardly ever get to jump around in this inflatable house, we made a few decisions to manage the flow of traffic. 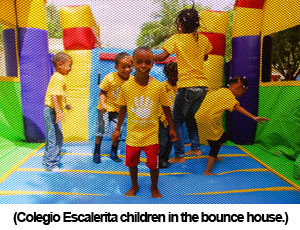 First of all, to spread the number of children around, we started them off at different stations, and made the bounce house free. As soon as a reasonable number had passed through the house, we set the bounce house ticket price at five tickets (well below market value). And as many more, almost too many children wanted to go through it, we raised the price to 10 tickets (approximate market value). One young man who had to decide between waiting in line at the free bounce house and playing tic-tac-toe bean bag toss with no line, first chose the bean bag toss to earn tickets. Upon arriving at the entrance to the bounce house, he was told that it now cost five tickets. He left to go earn more tickets and came back with eight. Unfortunately, for him the price had just been raised to 10 tickets. To reward his patience, we let him in for eight tickets. The orange team, composed of children ages 8-11, had a young man named Stephen who showed signs of mental retardation who, being a few years older than his peers, joined this group because his brother was in it. During the recreation portion of the day, the group split into two teams to do an obstacle course than involved hopping on one leg through a series of cones and passing through an old tire set up on the playground. It was his turn to go, and Stephen had trouble with his coordination and struggled to hop around the course. When he finally reached the tire he hesitated at first, because he was very tall and knew would struggle getting through the tire. As he struggled, his teammates started cheering him on, and began chanting his name. Limb by limb he labored on getting his elongated frame through the old tire, but as soon as he emerged, he raised both hands above his head and yelled. 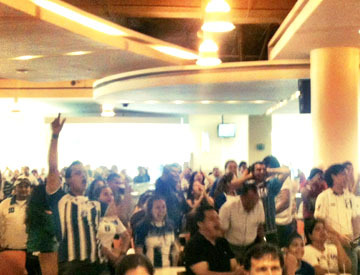 Both teams, teachers, and the North Americans erupted in a victorious cheer. To finish out our final day each week, we had a celebration with the parents of the schoolchildren and friends and family in the neighborhood. We ordered enough food to feed over 200 people during the lunch break. After the big celebration of the games and the tickets during the carnival, it was a time to reflect on just what community means, and what it can mean for people like us, North Americans, and those who live in more economically impoverished areas. We had a really simple message that the director of the school (pictured left) gave us. So we sat down, all the colors of the age group teams, all the North Americans, all the teachers, and all the people of the neighborhood. We came with the intention of having a common table, and we feasted like family. I pray that you would see how God can use you to invite more people to the table. 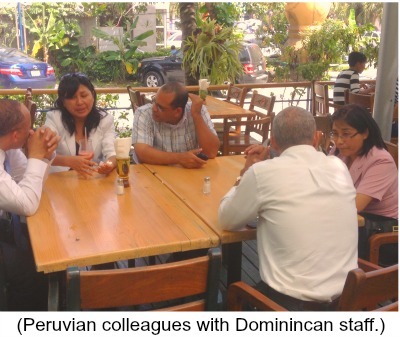 This entry was posted in Monthly Newsletter, Peru on September 20, 2013 by Aaron. My return to Guatemala last week was a homecoming to where the adventure began almost three years ago for me. 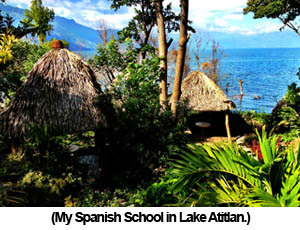 I learned to speak Spanish in the school of San Pedro La Laguna near Lake Atitlan. This lake, considered one of the 10 most beautiful in the world, still holds the same enchanting beauty as it did when I arrived almost three years ago. 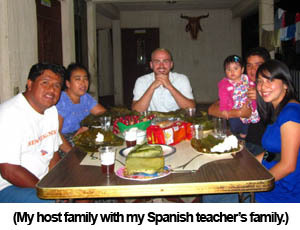 It is where I first learned to value the experience of living with a Mayan family that spoke only Spanish and Tz’utujil. I learned that we valued the same things in life: family, relationships, and dinner around a common table. As I’ve written in previous newsletters, with all the traveling I’ve done in the past three years, there are a set of behaviors and beliefs I’ve gotten used to. I consistently abide by the same rules for safety, pack my suitcase and backpack the same way, and continue to galvanize my stomach or local foods. But every once in a while I get caught off guard by a statement or a view of something so unusual, it makes me feel I just stepped off the plane from the US for the first time. 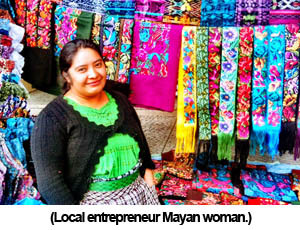 This statement was retold to me by a loan officer of a local Guatemalan Microlending Institution who was teaching rural women about the inequality of gender, and how they should value the female gender and should stand up for the rights of their little girls to attend school and seek educational and vocational opportunities. Inequality still exists in many parts of the world, not just in money or power, but in gender. Very often, when we think of poverty, it’s a description of inequality in economic class, education, or opportunity, but I’ve come to see poverty also as a lack of values or appreciation of life. Now keep in mind, even in the tiny rural village where this training took place, culture is a behemoth that everyone can see, but very few can move on their own. It takes years to form itself, and sometimes it sets in like concrete, which means it takes years to reform or change. When any development or missional organization talks about transformation of any sort, be it economical, behavioral, or spiritual, they are entering into a long term process. I’m always hesitant to speak of rapid transformation in the work we do with microlending to schools, because when we try to improve the quality of education, and build on projects to schools, we’re talking about beginning a process for change with a diverse group of individuals who carry their own vision for the school. I think it’s better to say that as a development or missional organization from the States we are joining a team with a common goal. When we work together for long-term results, not just short-term projects that look good on powerpoints and photos, real transformation is possible. Real culture change is possible. Last week, we met with an organization that is committed to long-term change. 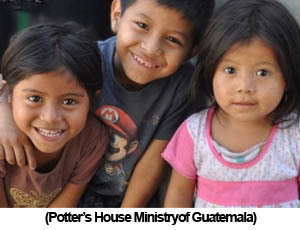 La Casa de Alfarero (The Potter’s House) is a local Guatemalan ministry that provides health, training, education, vocational, and spiritual empowerment to families that live in and around the enormous landfill of Guatemala. They told us that the community is made up of almost 3,000 people that work in the trash as “scavengers” looking for any material or item of value, and almost 9,000 people that work in and around the landfill. Families make at best $5 a day, with an average of $2-3 for a household. 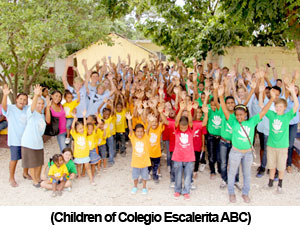 Culture change takes time, and Potter’s House has been working near the landfill for almost 20 years. Scavengers in the garbage dump know that the people from Potter’s House who come to serve them and educate their students in the school value them because they came to help, and because they stayed. They invested in the community, and the community trusts them. I believe that by truly investing in the local community, fully investing in the long-term change necessary to help change the mindset that all children, all boys and all girls, should be able to go to a good school and develop their talents as God gave them. This is a culture change of value. That we were all made with value, and that we all deserve to be valued, and to be valuable members to the communities where we live. I pray that God would show you how you can help shape positive values in your community. 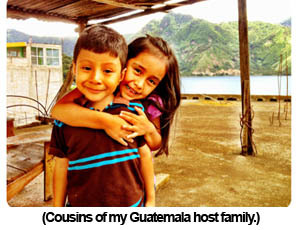 This entry was posted in Edify, Guatemala, Monthly Newsletter on June 26, 2013 by Aaron. His humor fills the room as he recounts the early days of starting his school named San Benito. Our team of four Americans and two Peruvians sit in his small office that is decorated by Catholic iconography, professional certifications, and a few trophies from his school’s soccer team. Florentino is so animated telling his stories, you really don’t need to understand much Spanish to follow along. I get so caught up in the energy of the room that I forget to translate a few phrases because it seems like my team is understanding what he’s saying. 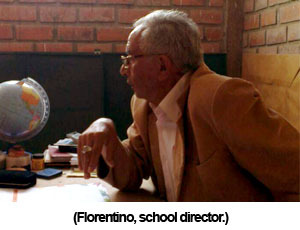 Florentino is the director and owner of his school, San Benito, a low-cost private school located in Loma de Carabayllo, a very economically poor district of northern Lima. 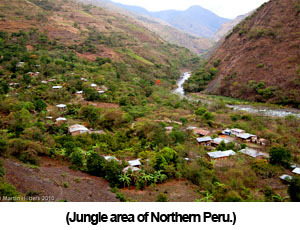 Florentino is from the jungle in the northern area of Peru. 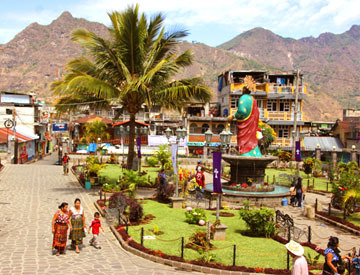 When people describe Peru they list four areas: the mountains, the jungle, the coast and the central area. If you don’t live in the central area or by the coast, there aren’t many opportunities for jobs or for education. Parents will do whatever they can to ensure that their children receive the best possible education. In Florentino’s case, his parents worked diligently to send him to a university in central Lima because that’s where the only universities were. After working for a few years in the city to make money, he came back to the jungle to start a bilingual school. It’s not the traditional sense of a bilingual school as we think of it being English and Spanish. Instead, his bilingual school was Spanish and Quechua, the native language to those who live in the rural areas and the jungle. 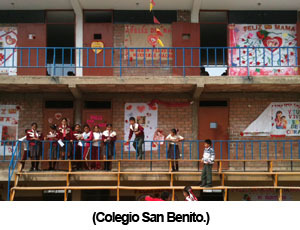 After his success with the first school in his hometown, he wanted to pursue his dream of starting a large school in one of the northern districts of Lima. With his experience as a director and an entrepreneur, it may seem like he would have no problem being equally successful in this endeavor, but trying to start a school in a poor area like this can be incredibly difficult. 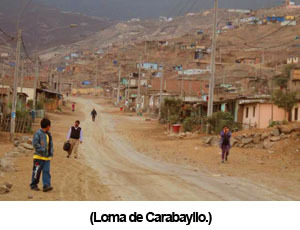 He told us that in Loma de Carabayllo, land was going at approximately US $5 a foot. That may seem like a deal to us, but it also signals that the area is so poor, that any new business, let alone a private school, would have difficulty securing solid income. When you look around this area you can see why the land prices are so cheap. There is nothing but dirt and rock. It’s not suitable for farming or mining or any other activity. The land is cheap because it’s a desert. With Lima being a capital of 8-9 million people, there are an incredible amount of opportunities for work and for education, ones that simply do not exist in the areas outside of the major cities. During the past 30 years, there has been a tremendous influx of immigrants to the central region because of terrorism in many of the surrounding provinces. 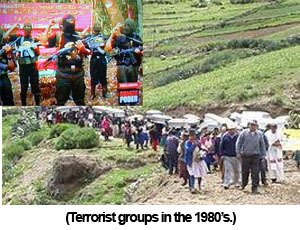 Initially, this terrorism was caused by two anti-government groups: Túpac Amaru Revolutionary Movement and Shining Path (a leftist military group ) and they were so destructive and intimidating in the outlying provinces, that many of the inhabitants fled to Central Lima. Even now, it’s easy to notice how the rapid emigration has left many without permanent homes as many people are still living in makeshift structures that consist of wood or scrap materials. As families try to move out of poverty and want to grow their families, they move to areas where they can afford the land. 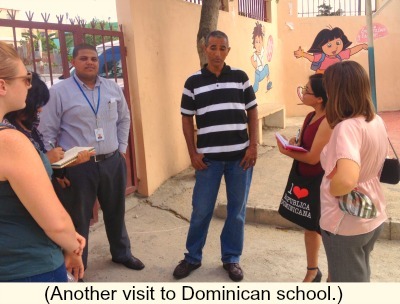 That’s why they come to places like Loma de Carabayllo, and in this area, the population has grown so quickly that the government can’t keep up with ample space in the schools for all the school children. So when Florentino opened up his school ten years ago, more than 50 students were initially enrolled, and his staff tried to keep up with demand. He tells us that the parents wanted their kids in schools but didn’t want to pay the $8 monthly fee for a private education. Undeterred, Florentino didn’t give up, and persevered in the first few years to enroll more and more students and work with parents to pay an adequate amount so that he could staff the school. 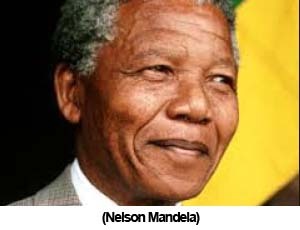 Essentially, his vision has remained unchanged since the beginning. He’s never given up despite what detractors had said (even his family!) and has persisted year after year to do what God has called him to – press on toward the goal of good education in the community where he’s called to be. I pray that you are pressing on toward the goal that the Lord has given you. 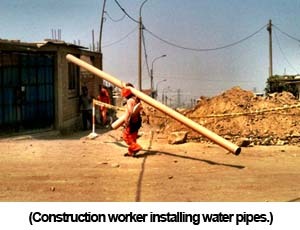 This entry was posted in Edify, Monthly Newsletter, Peru on May 26, 2013 by Aaron. Hi family and friends, I’ve been enjoying Lima, Peru. It’s nice to not have to repack my backpacks every three or four days. Progress with Edify has been going well; I’ve visited many schools and organizations that operate in the economically poor communities surrounding Lima. Almost two weeks ago, I went to explore a place I had only dreamed I’d be able to visit: Machu Picchu. Clint and I, both sitting down to rest our lungs, commented on how true that observation was. 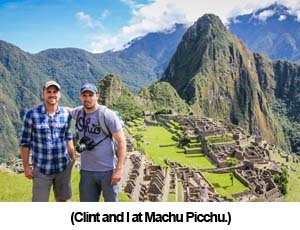 Machu Picchu sits on a small mountaintop in the cradle of the behemoths surrounding it, a man-made anomaly almost eclipsed by the view of towering giants. You really have to hike up a ways to see this and appreciate the true nature of its location. We started out with the intention of reaching the Machu Picchu Mountain summit, but chose to return after more than an hour of steep hiking. We had already climbed 1,500 feet in 40 min at about 5:00am earlier that morning and we needed a break. The day after, we were joined by Clint’s friend Ben, an Army doctor, and his friend Travis. 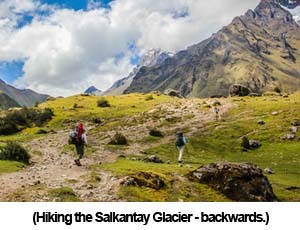 We were going to attempt to do the Salkantay glacier trek, a journey of five days, in only three – and backwards. Tour operators consider it possible, but don’t advise it. If you do the regular trip forwards, you have a total elevation gain of 2,300 feet in five days, not bad to get adjusted to the altitude, but if you do it backwards, that’s an elevation gain of 8,530 feet in three days. We didn’t have porters or donkeys to carry our 40 lb packs either. Ok, yes, it was kind of ludicrous. I admit it. I’ll save the full trip summary for my blog, but suffice it to say, I have never, ever in my life struggled so hard to breathe as I did walking up that mountain. As we approached 14,000 feet, I’d have to take a break every 10 or 15 steps to let my lungs refill and my heart to slow down. It’s basic biology: the lungs need more air and heart needs more beats to compensate for the scarcity of oxygen. By 15,000 feet, I was just ready to reach the summit and begin the descent. My head was hurting, my legs were tired, and it was hard to concentrate on anything other than breathing normally. Clint and I, the two sea-level guys, finally made it to the summit. We rejoiced and reveled in the accomplishment and marveled at the massive blue-ish Salkantay Glacier another 1,800 feet above us. It was simply incredible. Breathtaking in both senses of the word. Soon, we descended and my lungs began to operate normally and my heart slowed down. We had achieved the seemingly impossible, overcoming mental and physical barriers to rise to the summit. 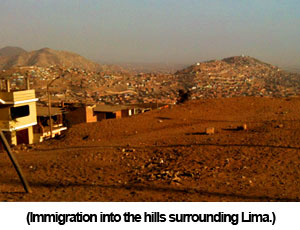 This past week I spent some time in the outlying districts of Lima. 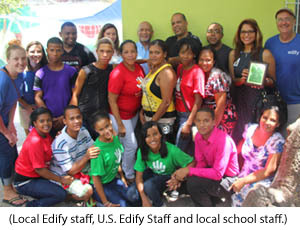 For the work we do in Edify, we seek out schools in impoverished areas, and provide them with small loans to build more classrooms and computer labs, and provide them Biblical business training to manage their schools more effectively. In addition to those initiatives, we also provide teacher training so that the schools improve their level of education and stay competitive nationally. 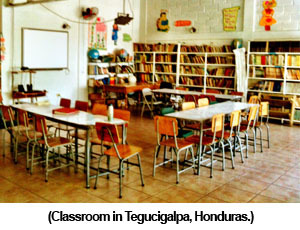 Most of these schools charge about $25-40 a month, or roughly $1-$2 a day. This may not sound like a lot to us, but this is an enormous struggle for parents. They pay it because they know the alternative is that their child will be crammed in a classroom with 35 to 40 other students. Very little attention will be paid to their son or daughter, and they probably won’t progress even in the most basic of subjects: reading and writing. 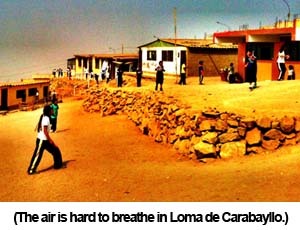 What strikes me about these districts, Callao, Ventanilla, Carabayllo is that it’s hard to breathe. Not like 15,000 feet hard to breathe, because these districts are mostly just a few hundred feet above sea level, but it’s so dusty you end up coughing a lot and worrying about what’s entering your lungs. I notice this while I’m watching students run around an unpaved recess area kicking a ball to each other. 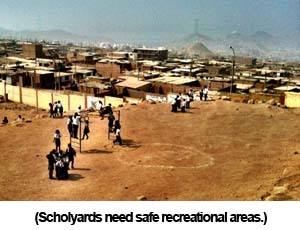 The public school director laments that with such overcrowding (more than 1 ,000) students, they’ve run out of adequate bathroom space and finances to build more bathrooms, which also means the children will wait another year or two before they can pave the recess area to deal with the tremendous amount of dirt and dust kicked up in the air. The parents tell us that a striking number of these students have respiratory problems like asthma and other health issues caused by the poor air quality. They tell us that if they didn’t water the dirt roads in the morning you wouldn’t be able to see the houses or the schools; the dust cloud would cover the community of nearly 50,000 residents. I think about our previous accomplishment of completing the ascent to the glacier and how hard it was for me to breathe and how proud I was that I overcame my anxieties and fears to complete the challenge. 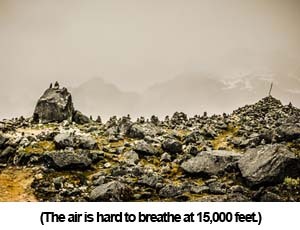 It feels a little strange to revel in the victory of the self-imposed trek in harsh air conditions, when all these children want to do run around with clean air in their lungs on a soft, safe surface like grass. They probably don’t think about it that much, but their parents, who grew up in the same community, know the long term dangers of consistent exposure. They mention health problems like the kind that miners in coal towns can develop. I don’t believe we should feel guilty for taking trips to Machu Picchu or the Salkantay Glacier (forwards or backwards) or putting ourselves in conditions where we must push ourselves to overcome our limits. No, I believe the response is to carry out the words we use to describe our identity. 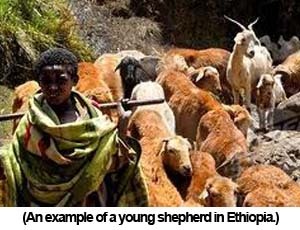 When we say we are the kind of people who care about making a difference in the world, who care about being light and salt of the Earth, who care about those without hope or a future, who care about sharing the hope of Christ here and now, and in heaven – we must do the simple things to follow through. It means that for the thousands of school aged students in places like Loma de Carabayllo, we must find ways of providing better education and a more healthy educational experience. 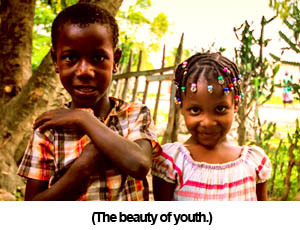 In short, it means being involved in local government, paving roads, providing loans to build better recess areas, and educating children and parents the importance of health in the young body. I pray that we are being filled will the breathe of life, and with the breaths we take we can share words of the Spirit and life. 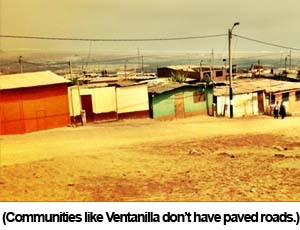 This entry was posted in Edify, Monthly Newsletter, Peru on April 26, 2013 by Aaron. 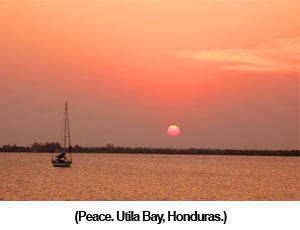 I didn’t feel it in Honduras. I have traveled in some dangerous places in the past few years, and I have lived in each of those so I know that it is my own responsibility to create a sense of stability and safety where I live, but I just found that difficult in Honduras. For one, everything closes at 6:00 or 7:00pm due to the danger of theft or robbery in the evening. Banks stop taking deposits at 4:00pm, and close their heavy doors at 5:00. Everything is guarded by private security with weapons, even the Burger King. All those characteristics of a place still don’t bother me. It’s par for the course when you choose to live and work in developing countries. 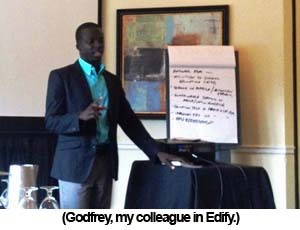 Indeed, in the countries where Edify works, safety and security are consistent issues for us and our staff. What I think bothered me the most about my time in Honduras is how people talked about the place even before I got there, and the daily conversations they had in relation to the country. 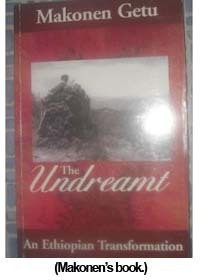 It was all negative, all about the violence and the danger, and the possibility of getting robbed, maimed, or kidnapped. I was like, “Seriously? All of that could happen?” I thought to myself that in regards to statistics, I’m just as likely to be the victim of an assault in one of our large cities in the US. 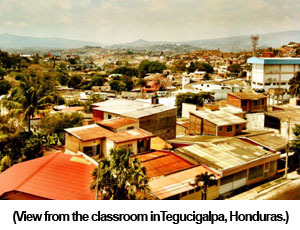 The picture on the left is from Guatemala. It’s what you’ll find when you do a Google image search and what you’ll most likely find if you want to learn about Guatemala’s safety. 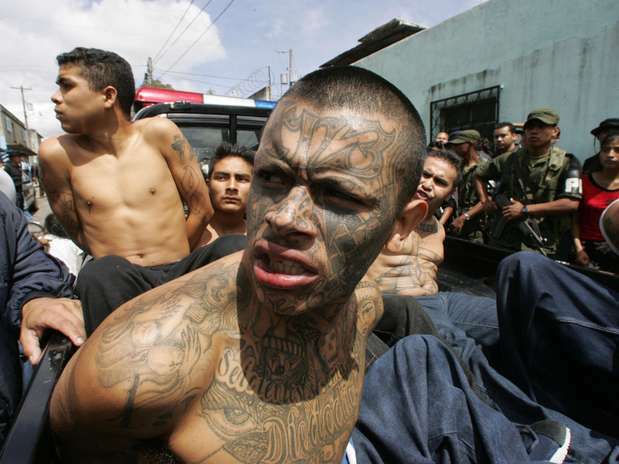 The picture on the right is from Honduras, and you’ll find these gang members in most Google image searches and articles about Honduras. Which series of pictures sticks out in your mind? It’s a good question, right? For me, the second series were the first pictures I encountered before actually visiting the countries. It would have been a shame to think that these countries could only be represented by their problems with the drug trade and gang members. 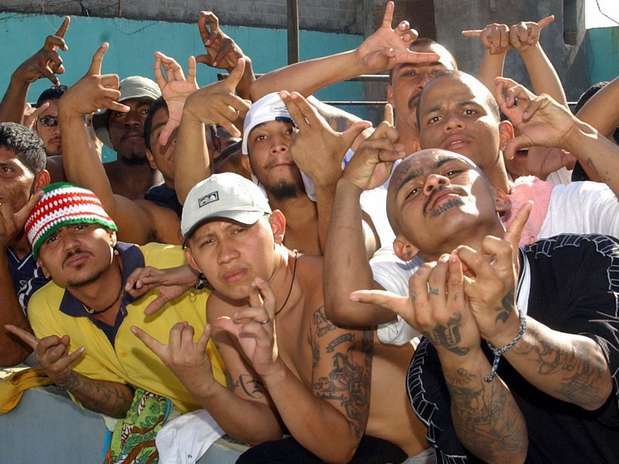 I do abide by good Christian council that says “Trust in God, and fasten your seatbelt.” So I’m not saying we should do away with the precautions given to us by the international organizations that monitor statistics of gangs and violence nor our embassy. What I am saying is that for precisely the reason Honduras is a difficult place to live and travel gives us even more cause to help bring hope and Christian witness to difficult areas. It is not easy the work that we do, but it is work that can turn not only the perception, but also the reality of communities to be ones of prosperity and goodness. I pray that you are finding ways to turn what is broken in your community into what is healing and inviting so that more will see the good in dark places. This entry was posted in Monthly Newsletter on March 29, 2013 by Aaron.